Jihlava is situated on the Czech-Moravian boundary-line and it is the centre of the Vysočina region. It lies on the river Jihlava and its population is about 50 000. The historical town Jihlava, the oldest mining town of the Czech countries lies in the middle of the Czech-Moravian Highlands. The origins and the boom of the town are related to silver ore mining. The mining town Jihlava was established around the year 1240. The richness coming from mining enabled the establishment of a large city with many religious buildings. 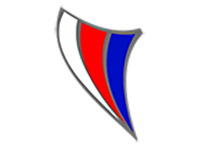 The royal liberties guaranteed the prosperity and Jihlava became soon one of the most powerful towns of the Kingdom. In late 13th century Jihlava experienced a great time. New buildings grew, the mining industry developed, the number of inhabitants increased and Jihlava became number one in juristic domain and the mining law was codified besides the town law for the first time in the central Europe so Jihlava became a model for many other mining towns. When the amount of mined silver decreased, the town connected its following fate with the clothing industry. Until 1945, Jihlava used to be the second largest German lingual enclave on the Czech area. The monuments in Jihlava are Gothic, Renaissance, Baroque and Classicist. 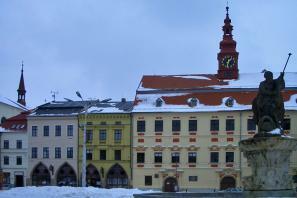 Jihlava has one of the largest squares in central Europe. Jihlava underground creates another important monument. Its area is 50000m2 and its length 25 km-thanks to these measures it is the second largest underground labyrinth of the Czech Republic.